Zoos, aquariums, wildlife sanctuaries, and more generally wildlife centers open to the public won’t disappear tomorrow. Then the least we can do is to be mindful, compassionate and ethical so that we can all push for a world where the 8.7 millions of species other than us can live the life they were supposed to have. During your visit, pay attention to the living conditions of the animals. Evaluating welfare conditions is not a subjective exercise: An internationally recognized framework known as the Five Freedoms exists to evaluate those conditions. Any institution working with wildlife or animals, in general, should know and try to work towards fulfilling the requirements detailed in this framework. These are minimal requirements, and by no means do they represent optimal welfare conditions, but they help and are agreed upon by animal welfare science experts and veterinary institutions. By learning how to identify and then report welfare issues of the institutions that you visit, we will be able as a society to push for better captivity standards, and hopefully reduce ‘the practice’ of captivity. 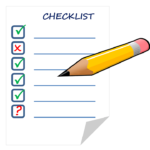 Get acquainted with our checklists and indicators which help you prepare and give you evaluation tools for fairly assessing welfare conditions of the visited facility. Additionally we added lists of questions that you can ask. Do not hesitate to contact us if you have more questions, or want to discuss ways to improve welfare. You can follow us and interact with us on our social media, or contact us directly. We will be glad to answer as soon as we possibly can. Thanks! The EwA Zoo Evaluation Guide† is a compact and easy guide to facilitate your visit of any facility hosting wild animals, and helps you discerning animal welfare conditions in captive environments. That is, it enables us as visitors to deepen our understanding of (and therefore our ability to gauge objectively and help) institutions that display captive wildlife. By understanding what we are looking at, we can appreciate knowingly the efforts of institutions who do achieve good welfare and, push and support better captive conditions when they’re not. 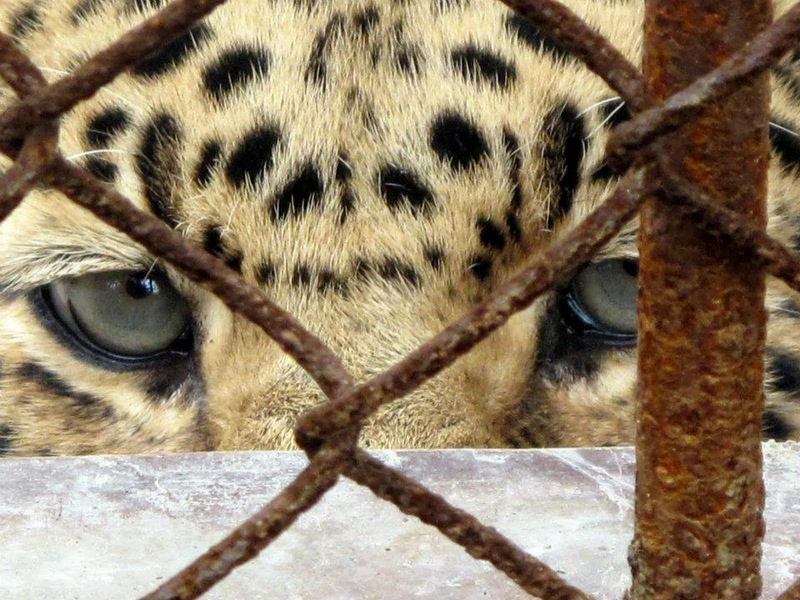 That’s the least we can do to the millions of animals that we forced into captivity. Remember that when it comes to animals in captivity, the picture is rarely all black or white. The key is to understand the shades of gray, identify the definite bad ones, and help the well-intended ones to do the right thing. Ultimately we are all responsible and accountable for what happens in those institutions, because we are the ones visiting and therefore endorsing them. As concerned humans, we have the power to help those institutions get to better standards for the benefits of their non-human guests. ⏸ Let’s pause for a moment so that we enter this zoo or sanctuary in an empathic, compassionate state of mind. How can we do that? Close your eyes and take a mental step into this world. Try to be this animal. Imagine yourself in that enclosure for your entire life. Also think about what conditions you would want as an ideal environment for you. Let that sink in… and then observe… Would you be content with what you see?… Doing this little exercise should help getting you in a mental state appropriate for the visit. Who would have thought that one needs a TODO list before stepping into a zoo or an entertainment facility that host captive animals? Thanks to the many people who are now reconsidering the concept of captivity (while still understanding that captivity won’t disappear tomorrow), people are asking how to understand what they see at such facilities so that they can promote better captivity standards. Here is then a quick list of TODOs before your visit –also review our EwA Etiquette for the Zoogoer, so that with little efforts but great consideration you get ready to a be stellar visitor and welfare advocate! There are many ethical concerns regarding the handling of, and the reasons for having, animals in captivity. Prominent and reputable zoo experts themselves agree about those concerns and are pushing for a redefinition of zoos and their standards. And we, as zoogoers, have an important role to play as we are the ones financing those institutions by visiting them. For this we need to gain an awareness about the ramifications and implications of what zoos are now. Asking respectful questions so that we understand how the institution we are visiting justifies its existence –and if it can be improved– is critical: it promotes a dialog that is lacking currently. We all have something to learn in the process for our own good, and the good of the animals in those facilities. Here we highlight different aspects of zoos that need scrutiny, so as to help us engage in productive discussions with the zoo institutions that we visit. To help assessing the welfare conditions, a framework has been designed in the 60s that is now widely accepted. This framework is known as the “Five Freedoms” in the field of animal welfare science, advocacy and as policy tools. It is widely recognized by authorities in animal welfare in government, academics and animal protection organizations, and more and more in ethical travel organizations. Here we draw the attention to indicators that help assessing the standards of the captive animal institutions that you are visiting. Of course there are no optimal conditions, and we have to keep in mind that the ultimate goal is not to judge but rather to help improving captivity conditions, and educational value of these institutions —in short help raising the ethics of captivity standards. To facilitate an animal/patient-centered visit, we provide an evaluation toolkit. Easy to download and to carry around. Don’t forget to bring it with on your visit! Laws pertaining to zoo animals exist on international, federal, and state and local levels. They are hard to understand and even harder to enforce. Basically, it’s a case by case basis, and not all animals have protection. The public has a very important role to play, by questioning, engaging with the staff w.r.t. and reporting fair mistreatment and abuses. By scrutinizing more the inner workings of zoos, we can help the zoos to get closer to their mission of educating the public and protecting & conserving species and ecosystems. Besides the information provided in the Zoo Evaluation Essentials, we recommend that you peep at this extended bibliography, as well as check our Zoogoer Etiquette. ⚠ Note that this evaluation guide focuses primarily on animal welfare and minimally on the conservation impact of zoos – here is why. Sharing is Caring Share this Guide around!